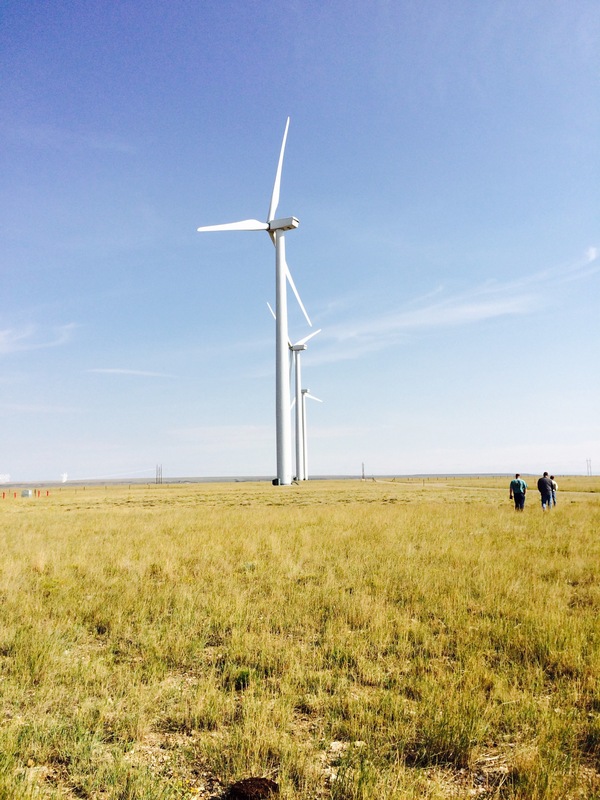 Thanks to PacifiCorp Energy, Wind Operations for the tour! California has spent the last several years in one of the worst droughts in the state’s history. And as if it couldn’t get worse, they are preparing to face one of the worst storms they have had since 1997 – the Pineapple Express. Today I have talked to both of my parents (Northern California area), and have seen several friends that also live in the area posting about the weather conditions on social media. Needless to say the wind is blowing 75 to 100 mph! The dust in the air is terrible and is limiting visibility, and they are preparing for power loss to occur by this evening. Additionally, rain and up to 4 inches of snow an hour may come! – Extra bedding and pens. During a storm like this animals will instinctively huddle together and try to find a place out of the weather. Also, the baby animals will be coming! A change in barometric pressure usually means more baby animals will be born. Shed space can become limited if this storm lasts for several days. But those having offspring will at least be warm and dry. 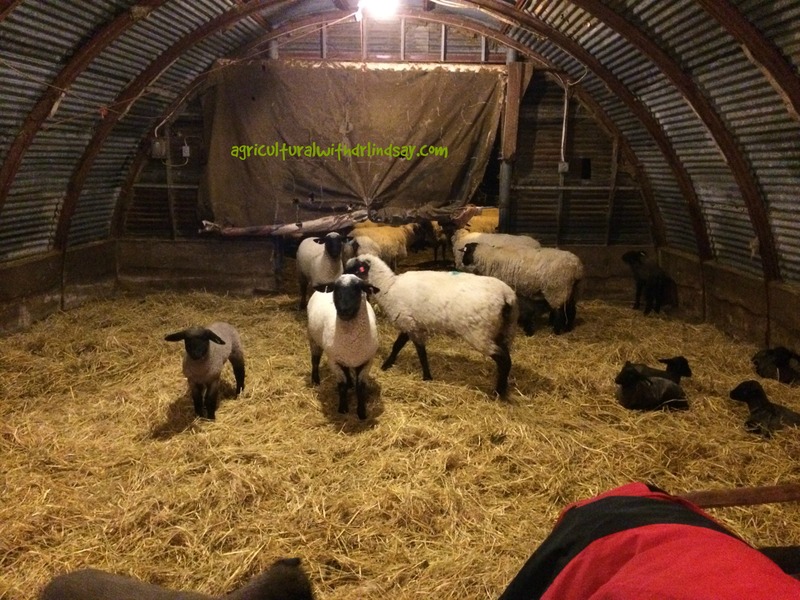 The sheep shed has plenty of straw and should be warm and dry. – Grass hay only! Animals can bloat (excessive gas in the rumen) if fed a high quality hay like alfalfa in windy conditions. Bloat, if not caught in time could potentially kill the animal. So to help eliminate this problem, ranchers are stock piling the grass hay as the primary feed, which almost eliminates bloat altogether. – Water. Luckily our ranch has an artesian well and several creeks/ditches running through it, so most of the livestock will have water despite weather conditions. 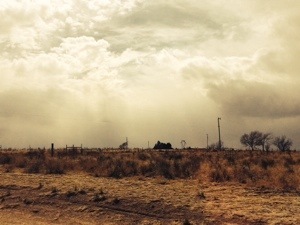 However, it is very common for the rural areas to loose power with winds like this, and that means no water can be pumped out of the wells. Water may have to be hauled or the animals moved to ensure everyone has access to fresh water during the entire storm. – Flooding. Since California has been so dry for so long, a large amount of water may runoff the soil instead of be absorbed. One winter during a severe flooding event, we regularly checked ditches and water blockage systems (aka headgates) to ensure they were not blocked with wood, limbs, and other debris. By allowing the water to keep flowing, and not pooling, it helped to eliminate damage to ditches and headgates. – Structures. This type of wind can be hard on structures, especially old ones and the roofs. Some of our old sheds have tin roofs. In the past, tin has been flopping around and eventually blew off as it is way too dangerous to try and fix it in a high wind event, as someone could easily be decapitated or severely injured. When part of a roof starts to flap around we try to throw tires or other heavy objects on the roof, and hope it makes it through the worst. 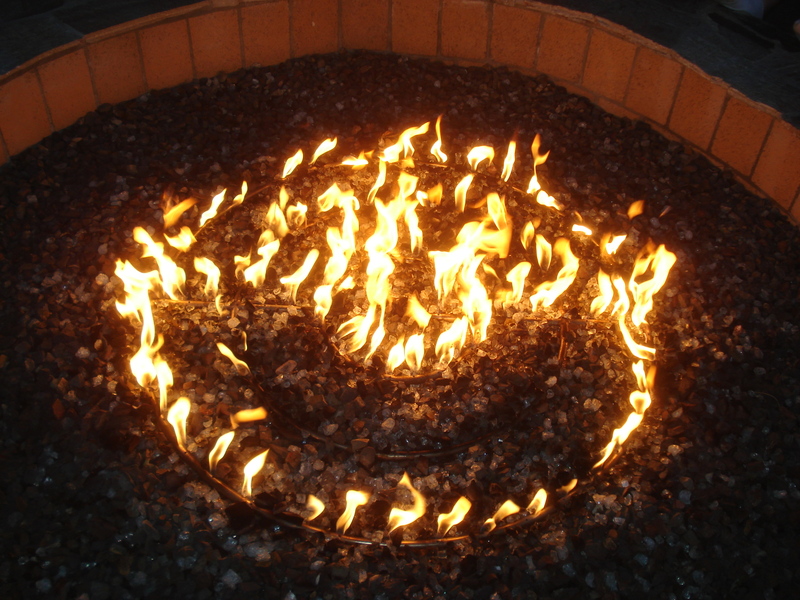 – Fires. One winter we lost several sheds and a part of our working corral (livestock handling area) due to an electrical fire. If an extension cord is plugged in for whatever reason, and the power goes it can cause a spark. And with high winds it doesn’t take long before you have a roaring fire on your hands with no ability to pump water. So my Dad has been checking to ensure everything nonessential is unplugged. All of neighbors try to watch out for each other for fires that may also start at feedmills, haystacks, and other structures. Fire is a great resource and can be fun, however, it is hard to control and can be dangerous in a high wind event. – What can blow away? In winds of up to 100 mph anything that can blow away will blow away. Even livestock/horse trailers! Ours are filled with straw, which helps weigh them down, but there have been times the tractors were used to help anchor them down. A reality is those trailers can be blown over fairly easily with wind like they are now having. We have also had portions of haystacks blow down, various trash cans, and basically anything that isn’t weighted down or tied down blow away (eventually recovered at a fenceline). This can be a very dangerous situation for human and/or animal. – Trees. Cottonwood trees grow well in their area, they offer shade, and can get very large. Several years ago, my parents decided to cut down the ones near the house as it posed a huge concern that they could blow over in a high wind event and destroy the house and anyone in the house. Trees near any structure in a high wind event should be monitored, as they pose a serious concern. – Transportation. If the amount of snow comes that they are predicting, transportation will become very difficult if nonexistent for a couple of days. Growing up in the mountains you learn how to drive in bad weather at high altitudes and to appreciate a set of chains and an emergency winter kit (i.e. water, blankets, snacks, clothes, etc.) for your vehicle. You also know what it means to stay home if the weather gets too bad (I mean that is where the Donner Party passed through!). You also make the most of your shopping trips, stocking up on plenty of food and water in case you aren’t able to get out for several days. – Loss of power. As I mentioned, it is not uncommon for my folks to loose power in a severe storm. However, this presents some real challenges. Luckily in our area wood burning stoves are the norm, so heat is provided. Everyone has a generator to rotate between freezers and refrigerators. And it is kind of like camping – salami, cheese, crackers, and a cold beverage is on the menu! Winter weather isn’t new for ranchers in Northern California, you just do the best you can for your animals and wait for it to pass. This storm will not be a walk in the park, but by preparing now it will make things easier as the storm continues to pound the area with wind, rain, and snow. While this storm is daunting, the thought of moisture is exciting – as it is desperately needed. I have blogged about cold weather animal care, preparing animals for severe weather, and preparing for a disaster. What do you do to prepare for severe weather events? The heat and humidity of summer are arriving in many parts of Nebraska, as well as the rest of the country. 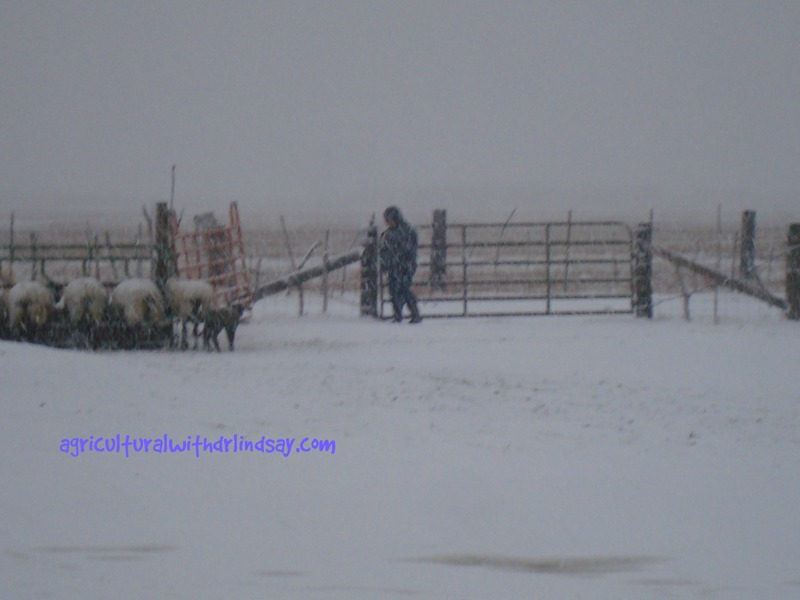 Today I will share with you some of things beef farmers and ranchers do to help make their cattle as comfortable as possible during these weather events. 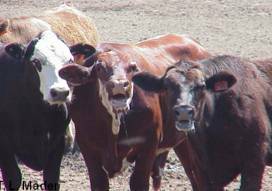 Heat stress is hard on cattle and other livestock (and people! ), especially when combined with high humidity and low wind speeds. Heat stress can reduce an animal’s feed intake, weight gain, reproductive efficiency, and milk production, while increasing their susceptibility to diseases (due to increased stress on their overall body system). Signs of heat stress can include animals bunching, seeking shade, panting, slobbering or excessive salivation, foaming around the mouth, open mouth breathing, and/or lack of coordination and trembling. Cattle heavily panting and salivating during a heat event. Photo source: Dr. Terry Mader. If beef farmers and ranchers see such symptoms they will assume the animal is suffering from too much heat and immediately try to minimize the stress to the animal, especially by reducing handling or movement of the animal. Additionally, the previous health of individual animals is an important risk factor, as animals with past health problems will be more affected by heat stress than animals with no prior health problems. These animals will generally be the first to exhibit signs of heat stress and be the most severely affected. 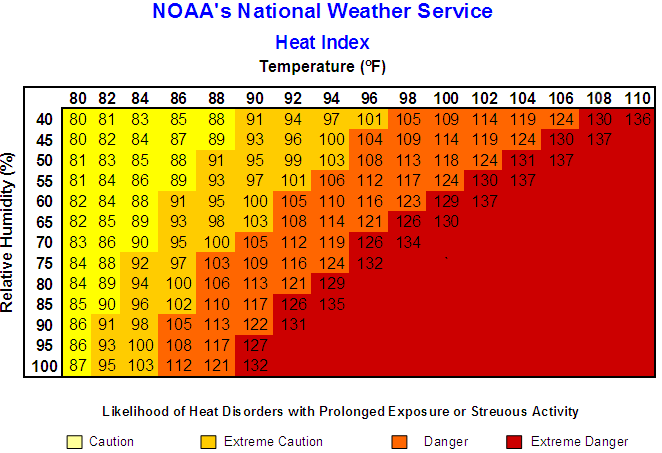 The heat index commonly reported by media outlets is a good place to start in understanding animal heat stress. Beef farmers and ranchers can use a tool like this to look at temperature and humidity levels to find the heat index – letting them determine a course of action. If the heat index is above 100 degrees, animals can tolerate it if shade is available and/or wind speed is at least 10 miles per hour. Shade can be provided by trees, buildings or other sunshades. If providing shade is not an option, you may see beef farmers or ranchers move cattle to outside or parameter pens where the airflow is the greatest or to a higher spot where there may be more airflow. If animals are inside a building that is not climate controlled, it is important that airflow through the building is created (opening windows, having fans, open sides,etc). In addition, the temperature can be lowered by spraying cool water on the roof and walls of buildings where the animals are being housed. If the index gets above 110 degrees, animals will be stressed regardless of wind speed. If possible, market ready animals should have access to shade and airflow. ALL animals should have plenty of access to cool, clean water. Sometimes you may see beef animals standing in water in an attempt to cool down. This can help them stay comfortable, but it can also be risky if they get down in the water and cannot get up. If a heat index above 110 is predicted, livestock that need to be moved or transported should be out of the facilities by early morning but certainly by noon, if possible. If the heat index is above 115 degrees, market ready animals should not be moved or handled at all! If the heat index is above 120 degrees, no activity should occur for animals or humans! 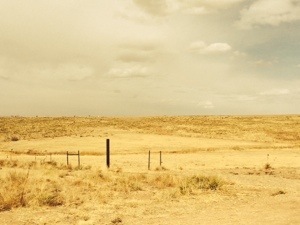 During the heat of summer, beef farmers and ranchers may provide: shade (not always an option), ventilation and air flow, plenty of clean and cool water, skin wetting (if possible) with sprinklers and hoses, and cool water drench (if the animal becomes very distressed – a veterinarian may have to assist with this procedure). If used, sunshades would be high enough off the ground (10 feet or more) to allow for adequate air movement. If animals are wetted down, the droplet size needs to be large enough to wet their skin, not just the hair. A small droplet size will usually just wet the hair creating more humidity for the animal, thus not helping at all. During these high heat, high humidity events the best time of day to work beef animals is in the very early morning hours when it is still relatively cool. Beef animals will be hot during the day, and will need several hours in the cooler evening temperatures to get their body temperature to a level that is not distressful. Beef farmers and ranchers do their best to make sure their animals are as comfortable as possible during these high heat, high humidity weather conditions. The best scenario is a nice breeze and cool evenings! 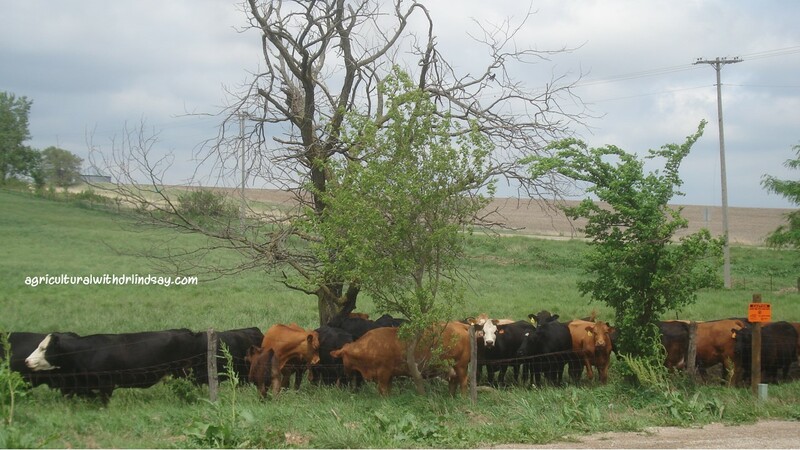 Cattle seeking shade under trees. For more information on heat stress check out Feedlot Heat Stress Information and Management Guide, Heat Stress – What You Should Know to Make Livestock Shows a Success, or How to Reduce Heat Stress in Dairy Cattle. I have now lived in Nebraska for over four years, and don’t get back to Texas often. But this weekend I remembered things unique to Texas that I had forgotten about or placed in the back of my mind. 1. Sweet tea and/or Dr. Pepper are the unofficial state drinks. 2. Texas pride is everywhere; whether it is the state flag, huge lone star decor, the text of “Texas”, or any combination of those three things. 3. Big hair, bright make-up, and big jewelry are normal and expected! 4. 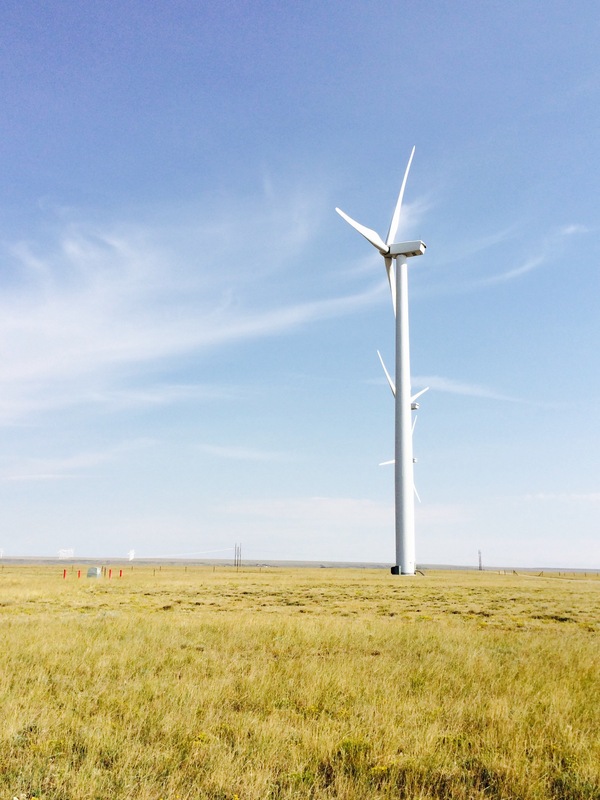 The wind blows… A LOT! Not an exaggeration, last night we received weather warnings of a terrible dust storm (it was sandblast quality). 5. Access roads are awesome! 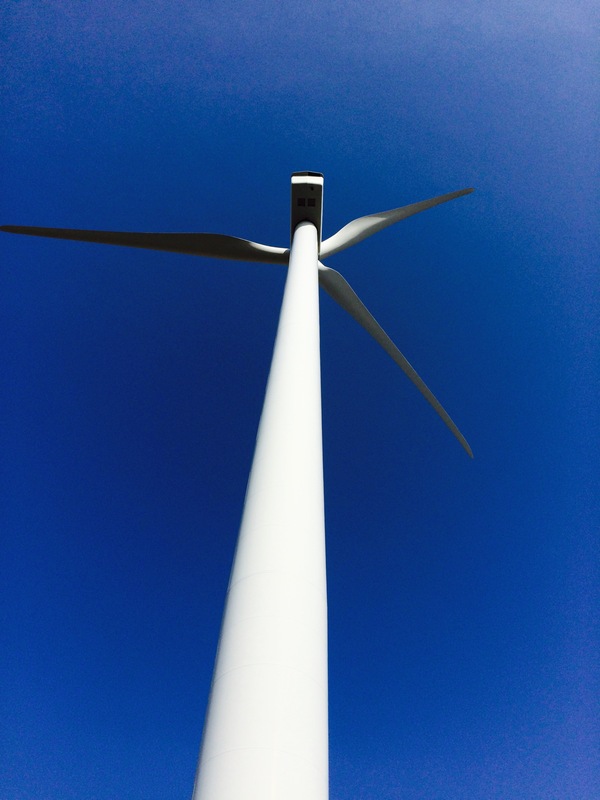 I had never been introduced to these until I moved to Texas, but since they run parallel to Interstates it makes them great for local travel and exercise opportunities. 6. Texans can dance! I don’t mean twerking, I am talking about swing, two-step, etc. 8. Steak is common and fairly inexpensive. On most menus this weekend it was just $2-3 more than a chicken entree! 9. 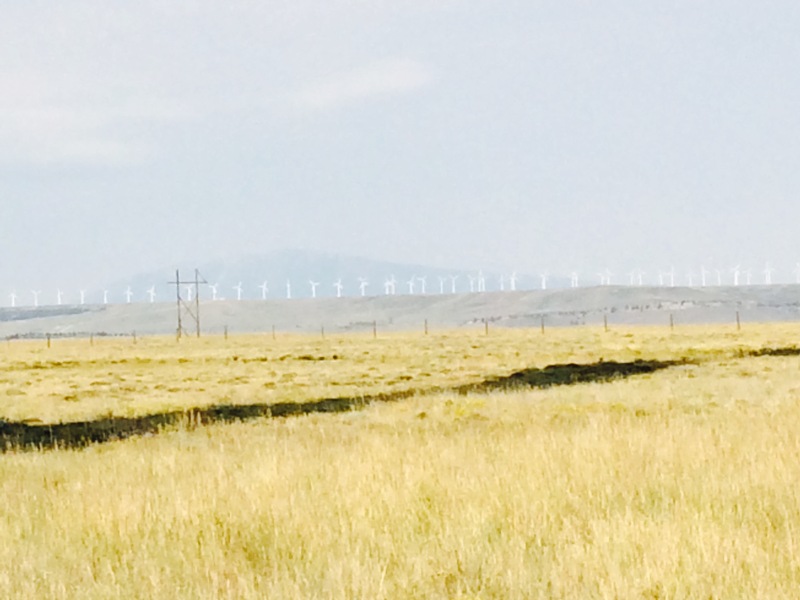 There are not many trees or windbreaks; which is nice for the views that extend for miles. 10. Honey, sweetie, and ma’am are common terms of acknowdgement/respect. While Texans have larger than life personalities, they are also fun, generous, and caring people. What are things you once may have known about Texas but forgot over the years?